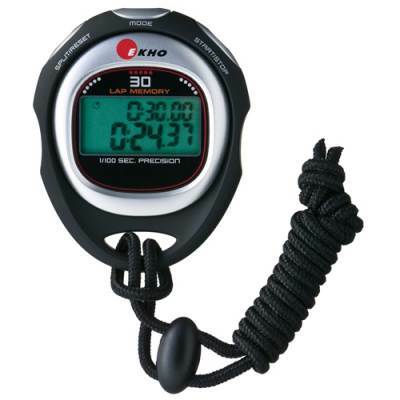 The EKHO K-250 Stopwatch. Professional quality performance designed with one thing in mind: Your Convenience. With electroluminescent display and sensitive micro-touch response for critical event timing, its never been easier to get the right time. 30 Laps & Split Memory w/ 1/100 second precision.